What happens when a dovetail joint shrinks down to a few thousands of an inch? 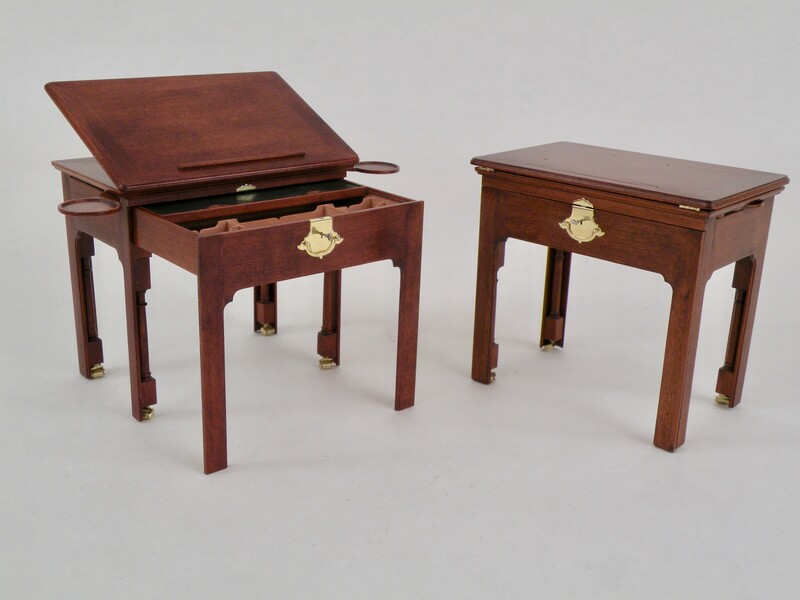 Miniatures artist Bill Robertson shares the stories and secrets of his 42-year career building tiny objects inspired by historic interiors, furniture, and decorative arts. His unique approach brings the Townsends and Goddards into the 21st century. Bill Robertson is a miniature artist, museum designer, and teacher based in Kansas City, Missouri. Over his 42-year career, he’s created hundreds of original miniatures of period interiors, furniture and scientific instruments based on extensive research in museums and libraries across Europe and America. He prefers to copy objects from 17th and 18th centuries. His techniques combine ancient shop practices and period tools along with his own unique methods. In addition to practicing his craft, Robertson has received awards, taught classes and lectured across the globe. His miniatures are in public and private collections throughout the world. Doors open at 5:00; talk begins at 5:30.